We found ourselves visiting a client who had previously had some shutters installed in their home in Finsbury Park, London. This time they were looking for more shutters to be fitted to the windows surrounding a staircase. 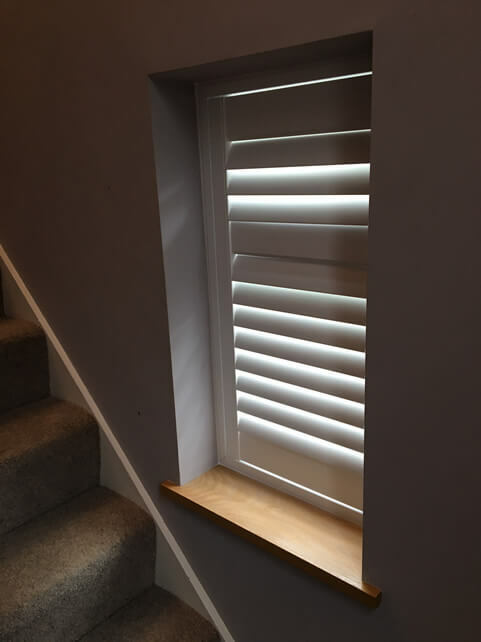 Shutters were chosen as they are a window dressing that would not inhibit the space of the staircase and will help to create a neat, modern look which enhances the natural light into the stairwell. 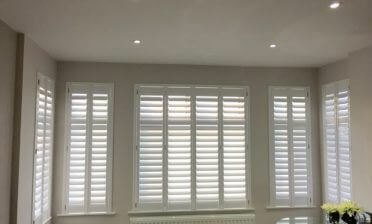 As we have installed shutters for this customer in the past we could work with their existing installation to create the ultimate look throughout the home. 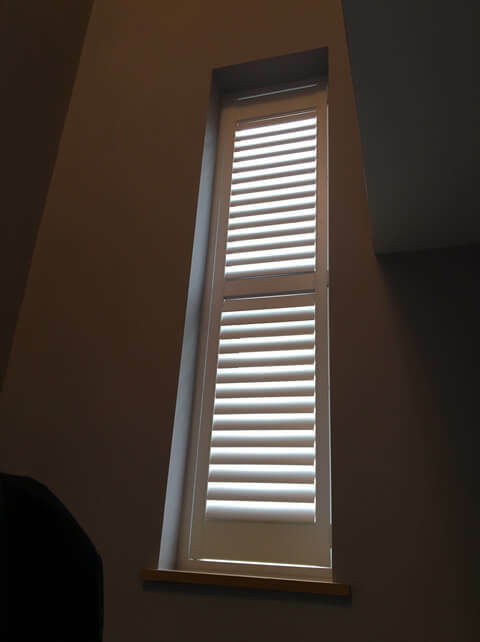 Tom and Mike were on hand to carry out this installation, which involved carefully fitting the narrowly designed shutters to some tall windows. 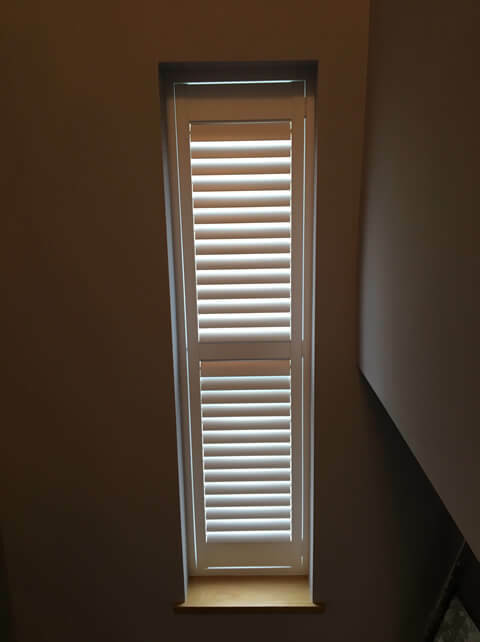 The 76mm louvres made for the perfect size on this size of window and help to create a large light gap when open and also look in proportion with such high windows. 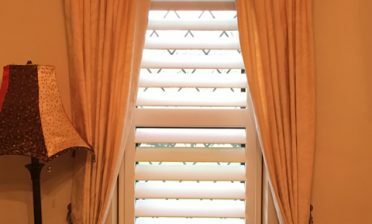 The shutters use a silent tilt rod system with no visible tilt rod. Not only does this create a clean modern look but on such narrow shutters stops the panels from looking overly cluttered. 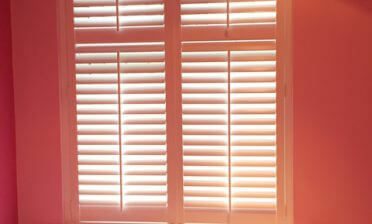 The shutters can simply be adjusted with touch as the tilt mechanism is built within the shutters. We manufactured these shutters from our Fiji Range which is made from Paulownia Hardwood and makes for a light weight solution compared to some of our other ranges. With shutters of this height we look to put as little strain on the hinges and frames as possible to make sure that the shutters stand the test of time!